Blog Commenting is an integrated part of a successful and engaging blogging. Blog commenting is an excellent source of inbound links, can drive relevant traffic to your site, help build your social network and more! Reading and commenting on blogs is also a great way to keep yourself up-to-date with the latest trends in your industry, as well as provide inspiration for your own content marketing. Unfortunately, for a few people blog commenting is a lost art of the stone age. But this is certainly not the true. Blog commenting still works great for those who can do it properly. It helps to build Strong Relationships. It helps to get a Decent Amount of Traffic. It helps to Create a Strong Readers Base. It helps to get a few Quality Backlinks. It helps to Boost the Search Engine Rank. It helps to get More Subscribers. Apart from these, there are multiple benefits of blog commenting both in terms of short-run and long-run. Blog commenting can be harmful if NOT done properly. During my blogging journey for the last few years, I have seen that many people (including some earning bloggers) make mistakes when it comes to reap of the benefits for commenting on blogs. And finally, they fail to achieve their expected results from blog commenting and often conclude that commenting on blogs are no more working or, it is a way of time wasting. 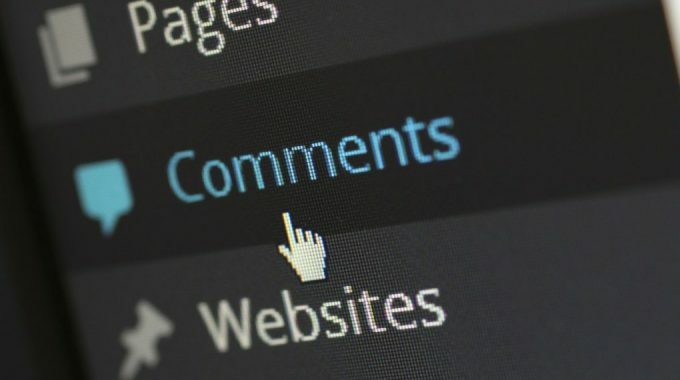 If blog commenting was dead, then why top bloggers do and ask comments for? Hope you are smelling something sweet about the recipe of blog commenting. In this article, I shall show you the roadmap of making a strong blog commenting strategy that will work for you with a step-by-step manner. This is not a brainer. You have probably know that you must develop a strong strategy for doing anything right and reap the benefits. Blog commenting is not an exception too. To obtain the optimum results from your comments on other blogs, you must have to develop your personal Blog Commenting Strategy. Yes. Defining your goal(s) is the first step. If you can not define your goal(s), you should not expect to achieve anything good. While trying to define your goal(s), you may consider the following. to obtain a few extra traffic. to make your blogging network better. The beauty of this art is it will let you focus on one or, more goals at the same time without losing the quality. For example, when I comment on several blogs, I set my goals on making my blogging network better, getting a few extra traffic and of course to add some values on that particular topic. You can set your strategy best in this case. Regardless of the niche, you are working on, there are several blogs already exist on that particular niche. Some of them are of extremely high quality from all the aspects and some of them are of the lowest quality possible on the earth. So, obviously, you should not show your interest to comment (and waste your valuable time) on each and every blog falls under your niche. This is why you have to specify your target blogs on which you are going to comment and re-comment (reply). You may consider the following points while specifying your target blogs for maintaining Comment Profiles on. Top Blogs on your niche. Blogs with most Audience Engagement. Blogs with maximum Social Shares. Blogs with higher Domain Authority. Once you have found a few blogs in your niche having complied most of the criterion given above, note their URLs along with short descriptions in a Spreadsheet. Try to aim for finding at least 10 to 20 blogs of that kind. This one is a vital one for developing a strong blog commenting strategy. Once you have prepared a handy “list of right blogs” for maintaining the Comment Profiles on, it is time for doing a deep analysis to make your “list of right blogs” extremely specific. read a few (at least 20) posts on each blog. check out the value they are giving back. finally, check which blogs make you feel good with. You probably have to remove a few names from your “list of right blogs” in this step. Those blogs, probably, were not actually the right blogs for you. Finally, make a Report for the Absolutely Right Blogs for you. A Brief Description: This is a nice blog with appealing design on XYZ by Someone and selling their own product “PQR” (with the type of product, e.g. E-Book, Video Course, etc). Repeat the same procedure for all other blogs of your list of actually right blogs keeping the highest priority to the best blog and see your list will become a solid Report. This step is a little controversial among the established bloggers. As they often prefer to comment “naturally“. I do prefer the same. But if you are a newbie blogger, you may face a few issues if you always want to comment naturally. I think that “Blank-Screen” is a Curse the bloggers who want to write a lot but do not find what to write about. Not only the bloggers, almost every writer faces this (sadly known as “Writer’s Block”). The same can happen for the newbie bloggers who want to be successful with an art of blog commenting. A ready-made blog commenting template can help anyone (including you and me) overcome this situation. Comments without a proper plan on what to write and how to write may often make your comment “poor” in quality unless you have a 10 years experience on blog commenting. But if you have a pre-defined template for the same, you might be ending up writing higher quality comments. Time is extremely valuable and you can not waste it simply by not utilizing it smartly no matter how great work you do. You do not have the right to waste a single second of time. Period. If you have a Ready-Made Template for writing comments on blogs, you can be able to write high-quality comments on top blogs of your niche in a lowest possible time. So now you have probably got several reasons for having a Commenting Template Ready for you. For example, I am going to share one of my blog commenting templates with you that I use to write (and reply) comments on a top blog of my niche. Thanks <Author’s Name> for this excellent/massive/informative post on <Topic Name>. This is going to be very useful for me (really). And I hope other readers will find it useful as well. Regarding this post of your yours, I have something to ask/mention/share. <Author’s Name excluding Surname>, you have mentioned <mention the topic or, quote the exact line(s)>. I shall be grateful to you if you be kind enough to answer me. But I am not agreed with you completely on this topic. I would like to share something/my experience on this topic here. Do let me know what do you think? Thank you very much <Name of the Person you are writing a reply for> for your response. Let me know what do you think/if I can do anything better in this regard. This one is the final step for developing your own strategy for writing comments on various blogs. I strongly recommend you to keep a few minutes aside for blog commenting. As it saves a few minutes, I comment on blogs just after reading a post on them. But if you find it is difficult to comment on a post you have just read, make sure to plan that comment later. Pro-Tip: Keep 1 hour aside daily just for reading and commenting on your favorite blogs. In the long run, it will be extremely beneficial. An effective blog commenting strategy can be magical in terms of the growth of your blog in a comparatively short span of time. And most importantly, it is absolutely free and legal way to see your blog gaining reputation, honor, and growth from all the aspects. I am not going to give you an example or, proofs for this. Rather, I would like to encourage you to implement those methods of developing a strategy for blog commenting that work for you and get the most out of it. I am getting excellent results consistently from my strategy. Please let me know your thoughts on regarding commenting on blogs. You may ask me anything regarding this by making a quick comment below. I reply all the comments personally. I think that blog commenting is one of the best ways to increase your blog traffic and SEO but always remember to post valuable comments and this will really help your blogging efforts.